Like everyone else, I think about getting my life more organized in the new year. But, I also think about getting my life more organized every week. And yet I’m never inspired to actually do anything to reach that goal. Well, no more! I have read a ton of posts, articles, and anything else I’ve stumbled over that has tips for getting organized. I even made a post about starting a purge before Christmas so we had room for more stuff. Spoiler: I didn’t get very far with that. I think I gathered one bag of stuff we don’t use and it’s still sitting by the door waiting to go to Value Village or somewhere. Something I have noticed is that no one has a home, a schedule, budget, or life like mine. We’re all unique and tips that may work for one household might not work for another. I would love a clutter-free space in my home that looked like this. Let’s be honest, that will NEVER happen! My home has very limited closet space. And we have a LOT of stuff. When we “tidy up” it’s usually just moving things from one surface to another. My kids bring home tons of “art” and other school projects that I’d love to keep, but where do I put them? And how do I throw them away knowing my kid poured her heart and soul into it for at least 2 minutes? I do throw out/recycle a lot of the kids artwork. But I wait until they go to bed, or they aren’t home, or the recycling box is about to go to the curb so they don’t see my trashing of their masterpiece! I also have a Rubbermaid bin in the basement for each daughter – a very small sample of their artwork goes in there for posterity. One day I will have to sort those as well, but it’s hidden for now. And then there’s seasonal items. We had just put away Christmas when I discovered we had an entire box we didn’t even open up this year. Guess what? I still didn’t open it! I labelled it so when the “get the hell rid of stuff” bug bites me again that’ll be the first box I delve into. And if it isn’t dealt with by next Christmas I’ll post what’s in it online for sale (or free depending on what it is!) for my friends and neighbours to look at. Or I’ll donate it somewhere. Options are endless of what I can do with it, but I have to DO it! I love decorating for holidays – Halloween being my favourite. But here, too, I have tons of artwork and “homemade” decorations. I still throw some away every year. This year I actually had my daughters help me. They decided their old drawings and cut-outs weren’t up to our current standards and they let me get rid of stuff. I was amazed! And at Halloween we suggested getting rid of the “baby” decor so we can upgrade to a few more spooky and scary decorations. It worked great! Find some local sites (Kijiji, FB groups etc.) but don’t join too many. My husband and I participate in different groups (because he and I have different interests) and between us we can usually offload our stuff. Plus we have family with younger kids than ours so a lot of the girls clothes head that way. We also have gotten a TON of hand-me-downs from family friends so it’s only fair we pass it on. Getting organized isn’t really hard – it’s just a lot of work. And you have the make the time to do it. I started really small. I went through my pyjamas. And I found some I didn’t wear because they didn’t really fit. So I posted them up and I have someone coming by in a few days to get them. When you have some success it’s motivating. But you can get motivated by the idea of creating more space in your life (and your cupboards) and sometimes that’s reward enough. 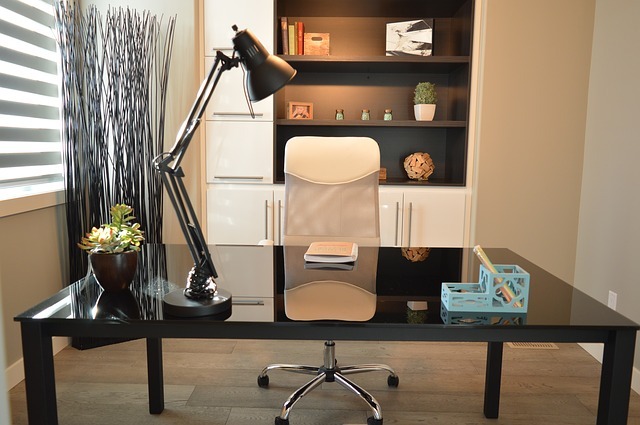 How do you keep your home clutter free? I’m looking for usable tips here. So please do share anything that may help me get, and stay, organized! I too toss the kids art work too- otherwise it would look like a scene from Hoarders here. Ha ha ha! I love the stuff and I’ll admire it for a few days, but ultimately the recycling bin gets it! Great thoughts and ideas, we all just have to knuckle down and get it done…. its a lot of work but you feel so much better once its done. Thanks Jess keep up the great work on your blog. Thanks Dar! I’m loving this tidier home that is slowly coming together. I always toss my kids artwork! Of course I keep some of it, but the scribbles are gone! We can’t get rid of it ALL, can we? There are always a few awesome pieces, or something really sentimental. But sometimes I have to be ruthless – and alone – to get it done! 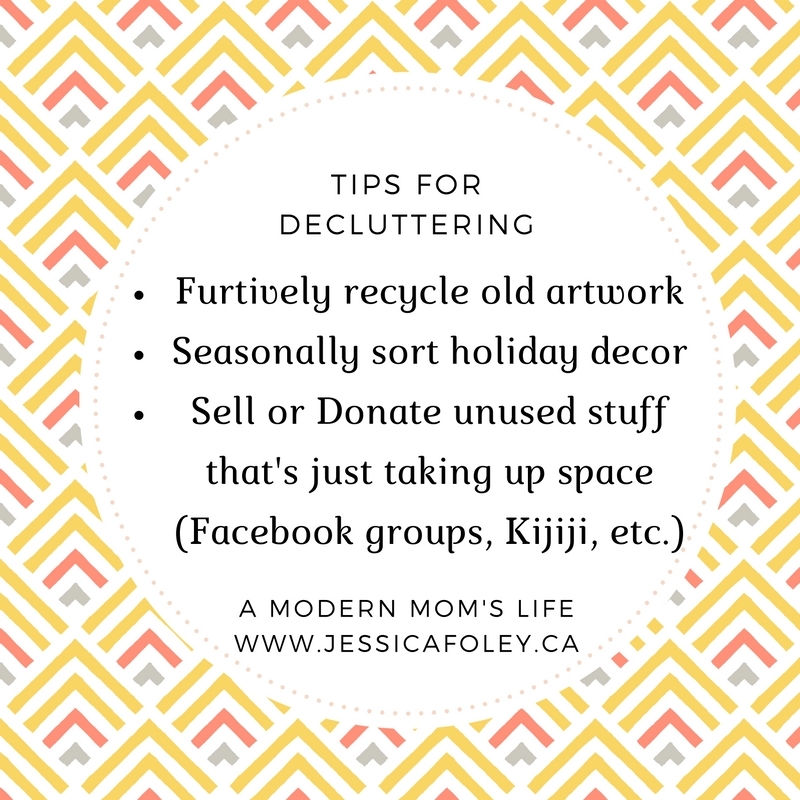 Hi Jess, there’s nothing like a good declutter, but it’s far easier than it sounds. We don’t have much room either, and it can be a nightmare trying to keep the place tidy. I usually end up decluttering in the buildup to Christmas. My children are now old enough to sort through their own stuff which is a big help as they tend to throw more stuff away than me. Last December my husband added some work tops and cupboards to the kitchen and what a difference it made. It really motivated me to have a good clear out. As for advice? I wish I had some for you, but alas I do not. Yes! It can sit on the table top for a week and no one cares about it, but ask them if it’s okay to get rid of? No way! Stopping by from #eatsleepblogRT. I love purging stuff. Every so often I get in a mood and just start throwing! It sure does feel good to have an organized and tidy home. I’m still working on it, but every area I work on gives me such satisfaction! Thanks for visiting. Ha ha ha! We have a lot of knick knack stuff. I’d love to get rid of more but then were do my photos in frames go? Or my books? (My bookshelves are already full and I don’t have room for more!) It’s a struggle but I finally feel I’m starting to get a handle on it. Thanks for the comment Heather! I put my photos onto a digital frame and it just cycles through the photos. I love it. Books are hard. I hit 1,000 books and the Hubster drew the line and made me get a Kindle. It has been amazing because I can get any book, any time I want. I actually had success last week asking the kids to go through some of their stuff. They are usually really resistant, but we got a big gift (as in takes up a lot of space) for Christmas (the Monster High school) and in order to put it together we had to clear out a bunch of stuff. It worked. They came up with a basket full of toys they don’t play with, and they threw out a ton of junky stuff we never use! Thanks for the idea Jasmine! The scanner idea is a great one. I did (for a very short time) take photos of my eldest daughter’s art work when she was bringing things home daily from daycare. Now we’re much more selective of what’s considered “artwork” and anything that’s only mediocre, or is mainly scribbles, I have no problem tossing. And neither does she. There are always a few that need to be kept for posterity. When I open that bin with her name on it in the basement I may just go back to digitizing the “good” stuff and then toss it all! Thanks for sharing! I asked myself those exact questions just this week. I got rid of a ton of “art supplies” (meaning colouring and sticker books that no one has looked at in years) and it felt great. Until my 5 year old came home and said “Did you get rid of the blue book with the dog stickers?” Umm, yes I did. They hadn’t looked at it in easily 1.5 years. I was afraid of a meltdown but it never quite came. I think Rose lost interest in the question the second it was out of her mouth. Thank goodness!! I file some artwork away by grade level. I have a storage crate for each kid and a folder for each grade level. I also send a lot of artwork to Grandma’s house! That way I don’t have to be the bad guy to dispose of it and Grandma actually displays a lot or frames it in her house. My mom loves getting art from my kiddos. And I do try to store a few nice pieces away. But as a grown-up who’s mother has kept a bunch of my stuff from my elementary school days I know I don’t have a lot of interest in looking at that stuff of mine. Sometimes it’s hard to make the decision to keep or toss! I love your post! I move a lot, so this may be easier for me, but my husband and I go through all our clothing at the end of every season and get rid of what we don’t wear. My struggle right now is organizing all those important papers I need to keep and the receipts that we get! There are always so many papers! I’m getting a bit better with the clothes now though – baby steps, I guess! When our kids were younger, we’d make Christmas a big decluttering event by telling the kids to donate as many toys as they were hoping to receive, so Santa would see they had space for new things. This encouraged them to be EXTREMELY generous! And they never once “counted” to see if Santa brought an equivalent never of gifts. That’s a great plan Pam! Something to strive for this year. Thanks for sharing! We save my kids’ school work for a year, and then every summer we go through the previous school year’s work, together, to see what to get rid of and what to keep. We also clean out their rooms every summer and have a garage sale with what they don’t need anymore. I love the idea of garage sales – sometimes I feel like they’re too much work for the small gain (if we’re lucky!) we get. The last time we planned one it rained. Still a good idea though!